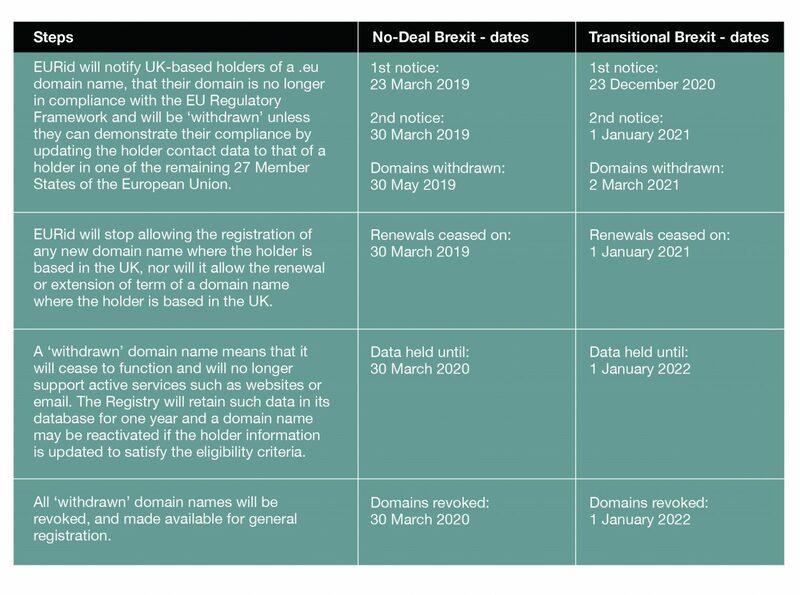 The action plan covers two scenarios; the first is a ‘no deal Brexit’ which would take place on 30 March 2019, and the second is a ‘transitional Brexit’ which would take place on 31 December 2020 and where any plan does not contain specific provisions for .eu domain names. A brief overview of the action plan and the dates relevant to each scenario can be seen below. If you have not yet taken action to move your .eu domain names to an EU-based entity, then please contact your Client Manager to discuss next steps.